In the aftermath of the Second World War, it quickly became evident to the British government that Americans had no intention of sharing their newly acquired nuclear weapons technology despite the UK's assistance in the Manhattan Project. As such the British government set about building its own atomic arsenal which eventually led to the UK's worst nuclear meltdown in history. Despite being an partner in the Manhattan Project, along with Canada and the US, and being assured access to the technology, the British government saw nothing for its efforts at the end of WWII when the US congress passed legislation prohibiting the dissemination of its nuclear advances. Not to be pushed aside as a superpower by the US and Russia, the UK government rushed to develop its own megaton-class indigenous nuclear weapon systems. It wasn't just the fear of losing its position in the international hierarchy that spurred the weapon's development; the UK government was also worried that the atmospheric testing of nukes could be outlawed in the coming years (which it was), preventing them from publicly demonstrating the these weapons' capabilities. Thus Project Grapple began. 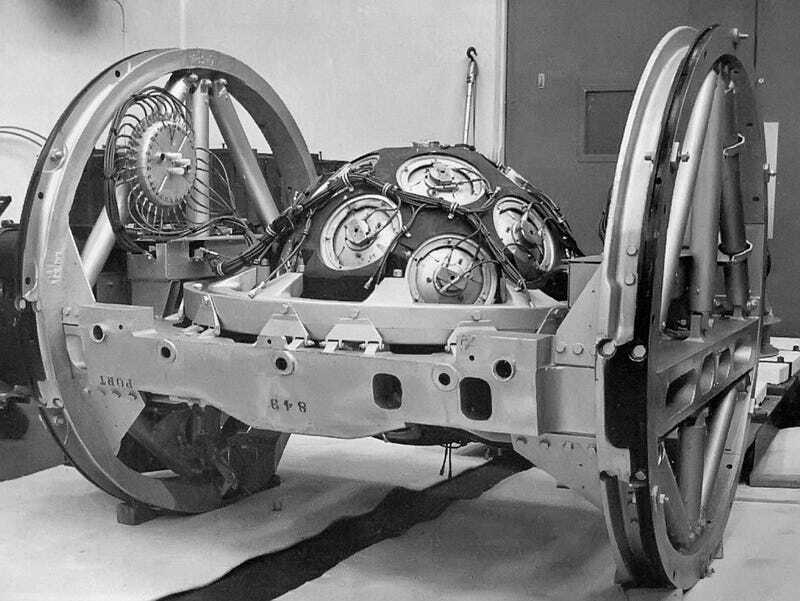 The result: Orange Herald, 117 kg of U-235 surrounded by lithium deuteride, and the first British nuclear device to use an external neutron source. Two versions were made, a larger 39 inch-diameter model and a smaller 30-inch. On May 31, 1957, the 30-inch Herald exploded in the skies over Malden Island in the Pacific, a yielding 720 kt blast and making Orange Herald the largest fission device ever tested. While the Orange Herald test was a success, the annual UK production of weapons-grade U-235 was barely 120 kg a year, just enough to make a single bomb. The 1958 US-UK Mutual Defence Agreement solved that problem. By forgoing further independent weapons development, the UK would be allowed utilize a derivative of the Americans' technology, providing significant cost savings as well as the ability to buy enriched uranium from the US, use that in its civil nuclear reactors, and sell the resulting plutonium back to the US. Despite its success, Orange Herald was not particularly popular with the scientists assigned to the project. "I thought that Orange Herald was a stupid device." Dr. Bryan Taylor told the documentary team behind, Windscale: Britain's Biggest Nuclear Disaster, "It wasn't elegant, it was a dead end design and couldn't be taken any further." What's more, the large amount of fissionable material demanded by the device has been blamed for the meltdown and fire at the Windscale nuclear reactor complex in Cumberland.